Rocky Mountain National Park is one of Colorado's most well known parks. Established on January 26, 1915, the park attracts over 3 million visitors each year. 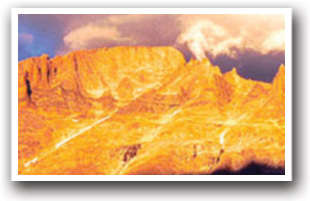 Covering 265,828 acres, the park's elevation reaches up to 14,259 feet at the football field size summit of Long's Peak. 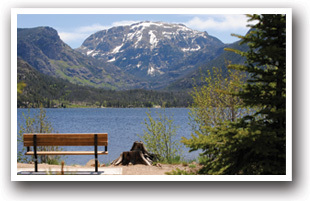 Estes Park and Grand Lake are located on opposite sides of the park. A unique aspect of Rocky Mountain National Park is its wilderness areas. In 1964, the Congress of the United States passed a law known as the Wilderness Act, intended to provide an "enduring resource of wilderness" for future generations. 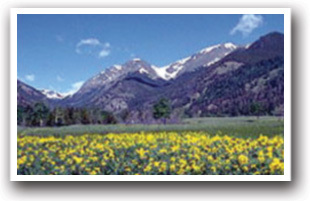 Rocky Mountain National Park has 2,917 acres that are designated as wilderness areas. However, an additional 248,464 acres were recommended as wilderness in 1974 and have been treated as such. 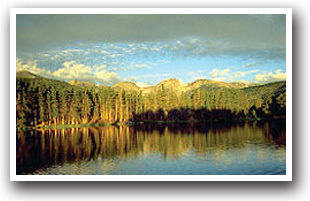 Rocky Mountain National Park offers many hiking trails. The 359 miles of trails always offers new ground to explore. Most of the trails are in the 248,464 acres of area recommended as Wilderness Area. Ranger activities include guided hiking in the summer, as well as snowshoeing and cross-country ski tours in the winter. 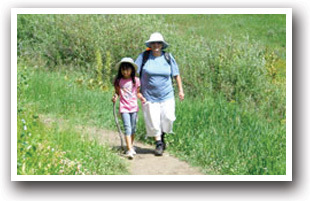 Visit the National Park Service website to see suggested hikes at various levels. Mountaineering, climbing, backcountry camping, and biking are also popular activities in the park. 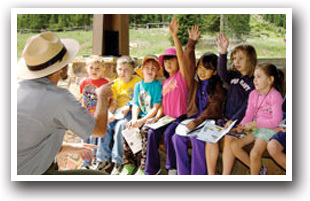 Another popular activity in the area is wildlife viewing. Inhabiting the park are nearly 60 species of mammals, more than 280 recorded bird species, 6 amphibians, including the federally endangered boreal toad, and 11 species of fish. The most well known inhabitants of the park are the elk. During autumn, the bull elk (male) produce vocalizations including piercing bugling, mewing, squealing and barking to attract cow elk (female). Elk generally gather where the meadows and tree lines meet. The free shuttle bus is a good way to travel around the park. The bus runs between trailheads and is based at the Park and Ride across from the Glacier Basin Campground. The bus runs daily from Memorial Day to Labor Day, and runs on weekends until the second Monday in October.